The Internet of Things​ changes the way we live and how we interact with the world around us. Millions of “things”​ in our daily life are connected and talking to each other — fridges, speakers, TVs, cars, smart meters, health monitors and wearables. It brings up many new business opportunities. But it also opens up a variety of new security threats. 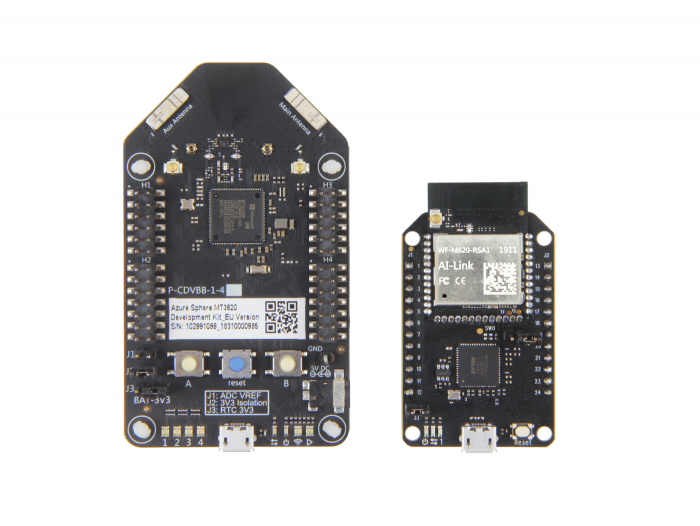 To eliminate the threats, Seeed Studio released another three products — the MT3620 Module (AI-Link WF-M620-RSC1), the MT3620 Mini Dev Board, and the MT3620 Ethernet Shield v1.0 — which support rapid prototyping of IoT applications using Microsoft’s Azure Sphere, a solution for creating highly-secured, connected MCU devices. The three new products based on the MT3620, ensure that developers can quickly move from prototype to production, and further enable them to speed up their IoT deployments while also addressing security holistically. The products are ideal for equipping IoT endpoint devices to be highly secured, such as smart home, smart building, smart retail, remote access, consumer appliances, as well as factory automation applications. Last May, Seeed Studio, as one of the Microsoft’s partners, introduced the Azure Sphere MT3620 Development Kitbased on the first Microsoft Azure Sphere chip MT3620. 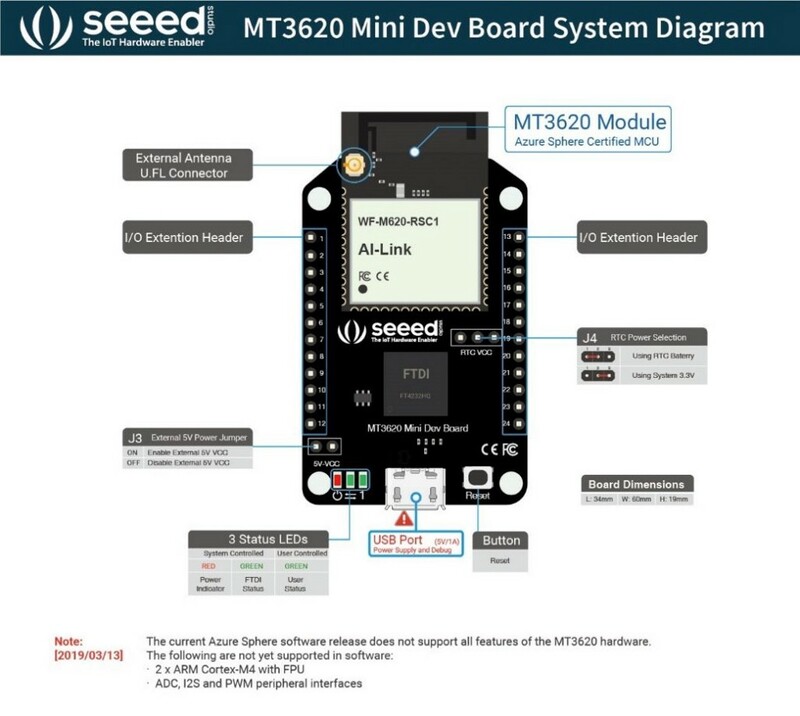 Then in September, Seeed unveiled the Grove Starter Kit for the MT3620 dev kit. Now, these three new announcements enrich the hardware ecosystem for Azure Sphere, aiming to help developers get started prototyping and developing Azure Sphere applications. 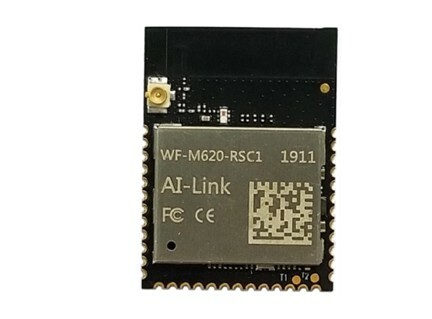 The MT3620 Module(AI-Link WF-M620-RSC1), developed by Seeed’s partner AI-Link, is based on the MediaTekMT3620AN, a highly integrated single chip, tri-core Wi-Fi MCU designed to meet the requirements of modern robust internet-connected devices. It leverages the Microsoft Azure Sphere security architecture to provide security solutions to connected device developers. The MT3620 Mini Dev Board is a smaller, more scalable and lower cost development board powered by the MT3620 Module (AI-Link WF-M620-RSC1). As a lite version of the previous MT3620 Development Board, it uses two single-row pin headers for the easy plug-in on other motherboards or expansion boards. It also optimizes the design by reducing some system hardware peripheral resources including I2S and GPIO ports with the support for 2.4G Wi-Fi. 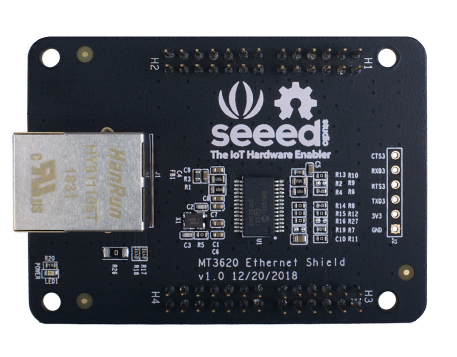 The Ethernet Shield is now available on Seeed’s online shop Bazaar, while the Mini Dev Board and the Module can be pre-ordered, with delivery scheduled for mid-May. Seeed Unveils 3 New Azure Products was originally published in Hackster Blog on Medium, where people are continuing the conversation by highlighting and responding to this story.